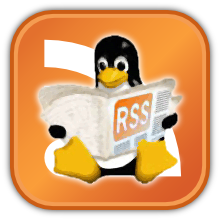 Home » Linux Distributions , Ubuntu » Ubuntu 14.04 “Trusty Tahr”: Tips and Troubleshooting. Ubuntu 14.04 “Trusty Tahr”: Tips and Troubleshooting. You can run any application in your path using the Run Command. Use Alt+F2. 2.- Turn off Hot Keys. This is the most evil option on any operating system, in my opinion. A mis-stroke enables any number of random events. Unfortunately, this problem is pervasive in operating systems and is difficult to turn off. Menu -> System -> Administration-> Advanced -> Input Actions -> General Settings -> check "Disable KHotKeys daemon"
Menu -> System -> Administration-> Advanced -> Input Actions -> Gestures Settings -> check "Disable mouse gestures globally"
If you wish to be selective about it (this doesn't often work, however), start by disabling unnecessary desktop hotkeys. Menu -> System -> Administration -> Accessibility -> Activation Gestures -> uncheck "Use gestures for activating sticky keys and slow keys"
Note: You probably will have to disable hotkeys in many applications, as well. Hotkeys from the Synaptics Touchpad can be selectively turned off using this information from the Ubuntu documentation. then choose your favourite media player. There are similar options for Blu-Ray (video-bluray) and HD DVD (video-hddvd). Set each individually. then choose your favourite media player. You can do this for a host of video file formats, including .wmv (x-ms-wmv, or Microsoft WMV format), .flv (x-flv, or Flash video), quicktime, and so on. Menu -> System -> Administration-> Advanced -> File Associations -> audio -> x-scpls -> Applications Preference order -> Move Audacious to the top (or Add... it). Make sure *.pls appears in the Filename Patterns section. This ought to be combined with a password-protected screensaver. 6.- Autostart a program at bootup. Any program (or script) can be made to Autostart at bootup by creating a symbolic link to that program (or script) in the ~/.config/autostart folder. Preventing unneeded or unwanted services from loading at startup can improve system performance. 7.- Run a script from a menu item. In this example the password sshpassword is returned when the ssh program requires a password. Expect waits for some text to be displayed in the command-line terminal then returns text in return. The Menu Item must be "Run in terminal", therefore.